Wonderful... followed the simple instructions and 24 hours later I was blasting away Dire Straits, Moody Blues and Pink Floyd! Had my JBLs for over 30 years now and should be able to go another 30! WOW! I thought my favorite JBL studio monitors were trash when the foam disintegrated. With nothing to lose, I ordered the foam repair kit and did it myself. After watching the video twice, I took my time and have now brought new life back to these beasts! Removal of the old foam and adhesive was time consuming, but these 25 year old speakers deserved it. The installation of the foam was a snap - very easy, and the glue dries slow enough, giving you plenty of time to work. I couldn't be happier with the quality and I'm glad I found you! My speakers sound great again! This is an excellent product. I had no trouble installing new foam on two speakers for the first time. The instructions are clear and everything I needed was supplied, except my own basic hand tools. I would recommend the foam protective treatment for extended speaker life. Discovered a Marantz tuner with something called 'Studio Design' 2-way speakers from the 70's in my father in laws attic, but the foam had crusted away. Got the repair kit and now enjoying great sound. I like to imagine that Studio Design was a JBL re-brand. Thanks. Great product, received fast. 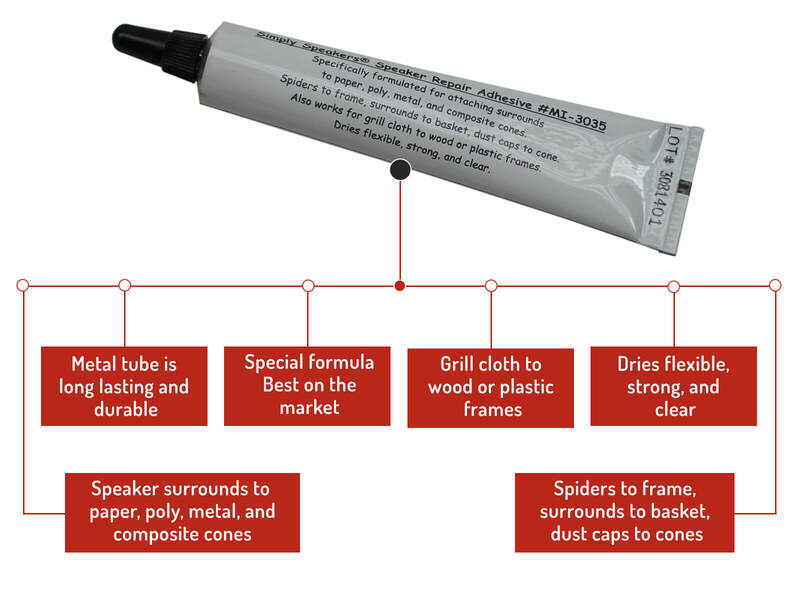 Easy to use in the repair, instructions were not complicated and were straight forward. The speaker sounds like new. excellent quality parts, easily fitted using the clear video instructions. My JBL L46s are back sounding great again. This project started with looking online for vintage receiver parts, I had no idea I could repair my old speakers. Followed the "how to" video and was able to bring life back to a pair of 35 year old JBL speakers. Ended up replacing two original cone tweeters and the foam on the pair of 8" woofers for around $65.00. During the process I emailed Simply Speakers with questions. The advise was accurate and reply quick, within an hour. If you are even a little handy and like repairing "things" I recommend taking on this project. I have a JBL Bass 20 sub-woofer that I love. 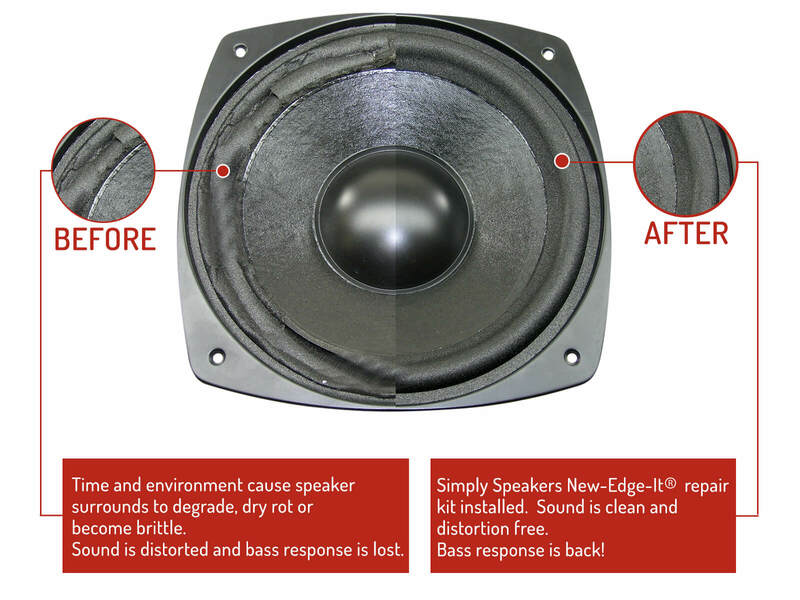 When I found that the rubber was half gone on both speakers I was bummed out. I went online to find replacement speakers, not knowing that you could just buy the foam. Luckily Simplyspeakers.com was the first hit on my Google search. The install was easy and now my Bass 20 sounds brand new. Q: The JBL L19 has its surrounds attach to the back/inside of the cone. Can you confirm the kit works in that configuration, and it's a manageable do-it-yourself operation? A: Yes, the kit # FSK-8 will fit the JBL 408G model. Thank you. 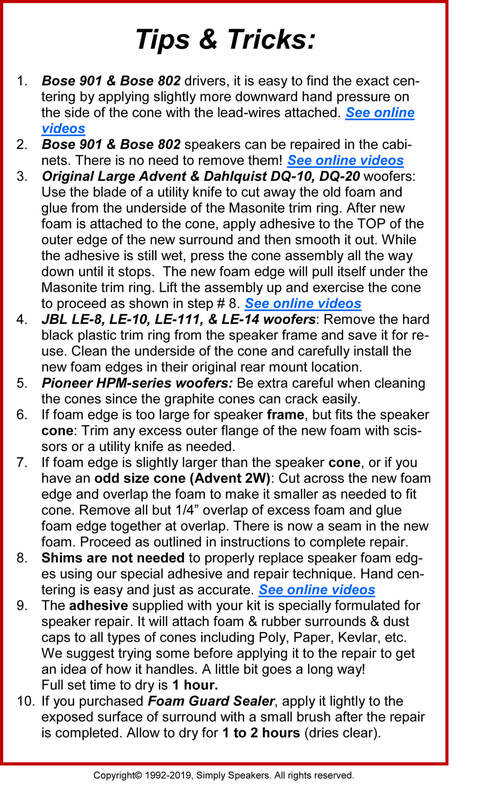 Q: Is this the correct set to repair my JBL L46 bookshelf speakers? A: Yes, the JBL-FSK-8 surround kit is the correct model for the woofer in the JBL L46. Thanks! Q: Hi,Ive got a pair of JBL LX500 speakers,the woofers need new foam surrounds. The driver or outer foam measures 7 and 3/4 inches across. What do you have that will work? Thanks much,Brad. 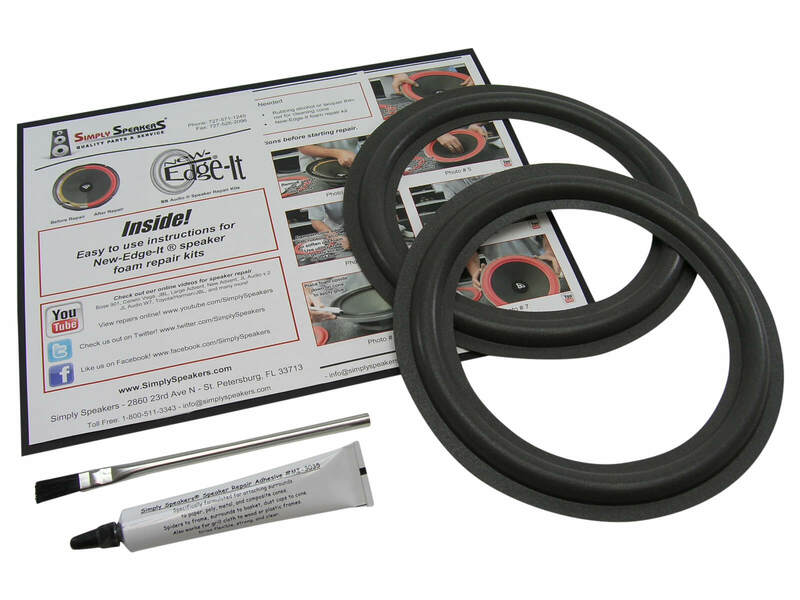 A: This repair kit will work! JBL-FSK-8. Thanks! Q: Which surround kit would I need for my JBL 4301B 8" speakers? I see that you have three kits for 8" JBLs but I can't determine which one is specific to my model. A: Yes, this is the correct foam kit for the 4301B. A: Yes, this kit will fit the cone size of 150mm. Thanks! Q: Will these work for my 4408A's? Thanks! 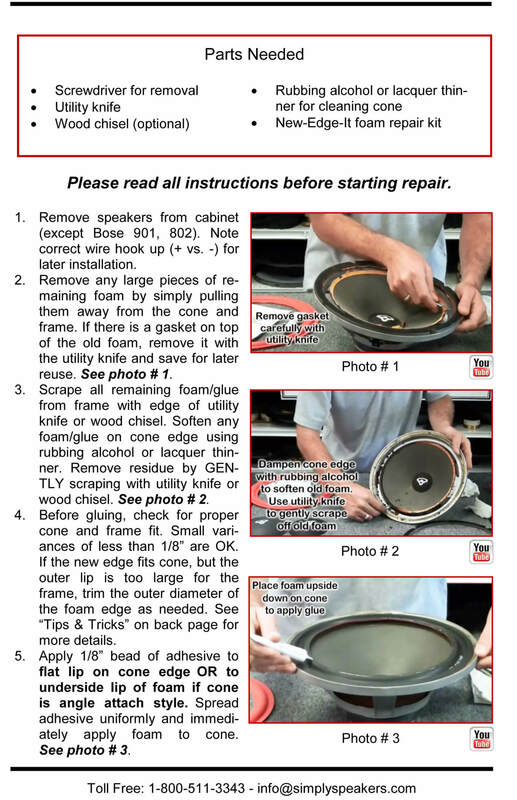 A: Yes this is the correct repair kit for the JBL 4408A woofers. 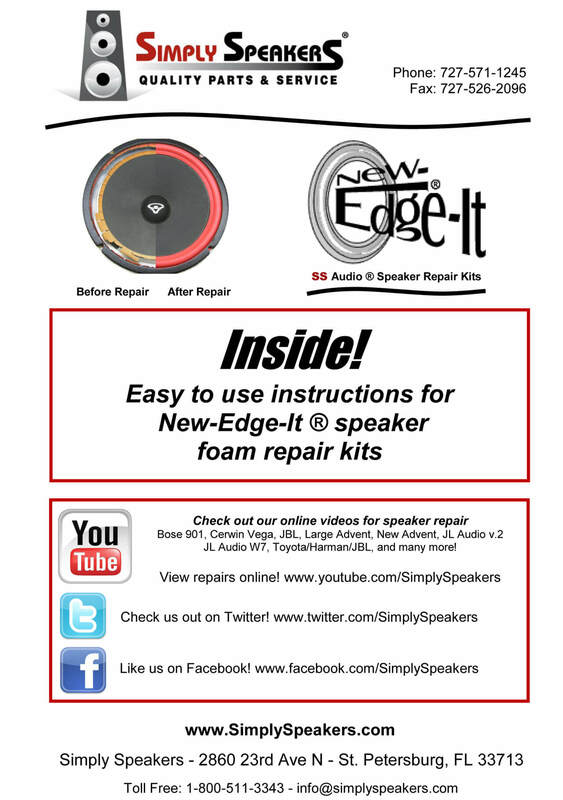 A: Please order kit # FSK-8M-Toyota for your Avalon with JBL speaker system. Q: Do you know if this will fit a pair of old 4313B studio monitors? Or does it even matter? A: No. 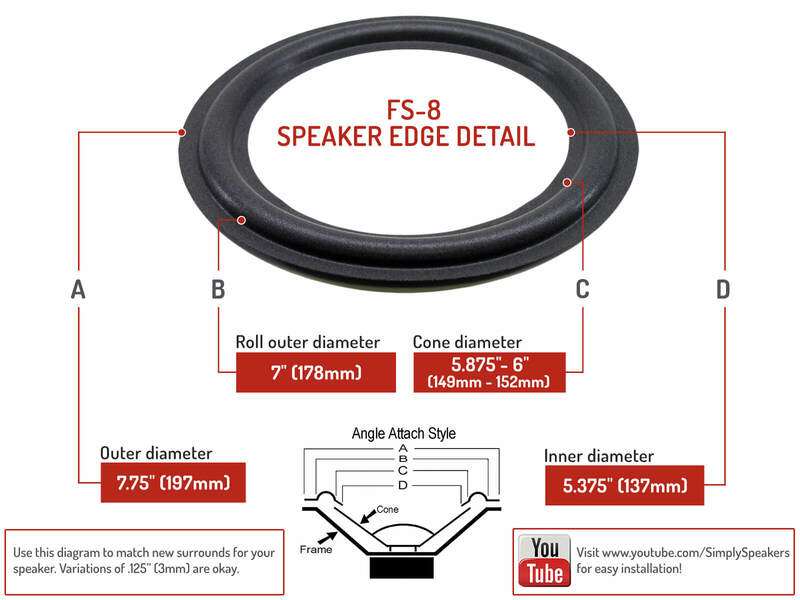 Please order kit # FSK-9JBL for your model JBL 4313B. Thanks! Q: What replacement foam rings will fit LXE550? 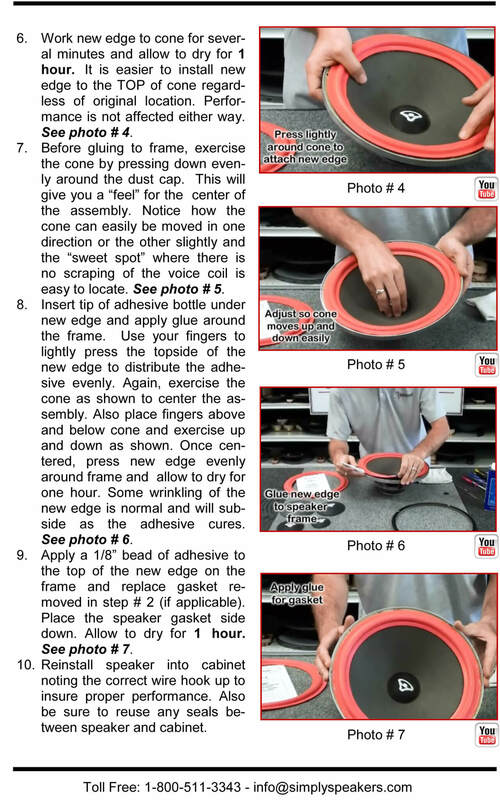 A: Yes, this is the correct repair kit for the JBL LXE-550 woofers. JBL: 116A, 116H, 116H-1, 116H1, 116H-2, 116H2, 117H-1, 117H1, 208HS, 308G, 408G, 70460, 408G-1, 408G1, 408G-3, 408G3, 508G, 4208, 4301, 4301B, 4408, 4408A, 708G, 708G-1, 708G1, 800, A608, ARC 50, ARC 70, BASS 20, J2080, J220, J220A, J320, J320A, JBL2800, JBL3800, JBL82, JBL82T, JBL 800, JBL830, JBL830T, JBL940, JBL940T, L16, L19, L19A, L3, L40T3, L46, L5, L60T, L86, LX-44, LX44, LX-440, LX440, LX-500, LX500, LX-60, LX60, LX-66, LX66, LX-800, LX800, LX-1000, LX1000, LXE-550, LXE550, LXE-770, LXE770, P30, P50, PRO III Plus (subwoofer), Pro Performer Plus (subwoofer), R82 Radiance, SE8H (332246-001), BASS 20 (subwoofer), S1, S2, SVA-1800, SVA1800, T88, TLX-14, TLX14, XPL140, TLX271P, (woofer), 331263-001, C12R, STUDIO 8, and many more!